A filling is simply the material which the dentist places in the ‘tooth’ to fill a gap that has been created by decay or a chipped tooth in order to return it to its normal shape. There are 3 main types of filling in use today: two are white fillings; composite and GIC or glass ionomer cement and one is silver that you most likely will have heard about and is called Amalgam. We will talk more about each of these below. A filling can be very simple replacing a small cavity in the top of your tooth or quite complex if it involves many tooth surfaces and needs to be built up in many layers. 1. Tooth decay – you have a cavity and if it’s not filled the decay or caries as we dentists call it, will continue to eat away at the tooth, eventually causing pain and problems as the nerve becomes affected. At this point a filling is no longer sufficient and a root canal will be needed. Needless to say the sooner we see and treat a cavity, removing the bacteria and filling it up – the better it is all round: there is more tooth to bond to and so the filling is more predictable; it is smaller, so the procedure is quicker and the filling costs you less. This is why seeing your dentist for regular visits every 6 months is so important. 2. Teeth wear- you can wear down your teeth in a number of different ways: by grinding your teeth, by brushing too hard or with bad technique or through acids in your diet- something we call acid erosion. Each of these has a different mechanism of action and pattern, but ultimately part of your natural tooth is lost and the purpose of filling is mainly to protect against further loss – it may be for aesthetic reasons too – if it shows in your smile. 3. Chipped teeth- teeth can chip for a variety of reasons: a hard piece of food, a knock to the mouth, a tongue piercing, or sometimes just from general wear. If a large filling is already in the tooth and it has been weakened this could also cause a problem. If they are relatively small, a composite filling material is great for replacing these areas. Larger chips on both front and back teeth may end up needing another restoration, such as a veneer or a crown to protect the tooth long term and give it the best prognosis. 4. A previous filling has failed- once you have a filling; you are always going to need a filling! The only thing that may happen is that filling will need to be replaced which involves a larger filling… until eventually it may require a crown. Reasons for its failure may include: decay around it, part of the tooth or filling fractures, it wears down or becomes stained and unaesthetic so you want it replaced for cosmetic reasons. Signs and symptoms a filling is needed? especially in their early stages. In fact most of the fillings we treat are discovered in the examination and found between your back teeth when we take our screening x-rays (bitewings). As the size of the cavity increases the chance of symptoms also increases. We divide the symptoms into ‘reversible pulpitis’ and ‘irreversible pulpitis’. I write at length about these subjects at jamiethedentist.com – it’s worth a look, if you’d like more information…but, In a nutshell, in reversible pulpitis the nerve should recover after a filling, but if you are showing irreversible pulpitis then treatment is likely to be a root canal or an extraction. Symptoms that you may experience include sensitivity to sweet, cold, hot and pressure, toothache, a sharp pain, a throbbing pain or pain when you are biting or chewing. Signs that you may notice include a lost filling, broken or chipped tooth, a rough or sharp tooth, food always getting stuck between certain teeth or the floss breaking or simply a dark spot or hole that you can actually see. Are there different types or options for a filling? 1. 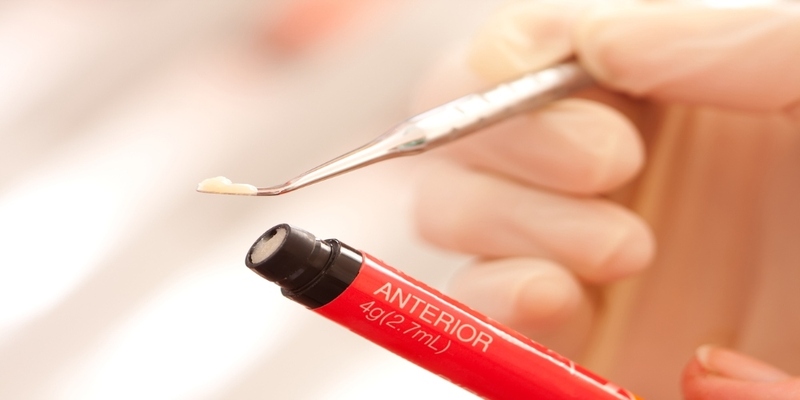 Composite- in private practice, this is by far the most common technology and filling material throughout the world. It comes in many shades, and is able to replicate the different layers of the tooth; it can be polished to a very high shine. It is the most aesthetic restoration and bonds firmly to your tooth. The chances are this is the type of filling you will get here in Australia and certainly the most common one that Dr Jamie places, because it looks great and has good strength and wear characteristics. 2. GIC- this is a great material which has a range of slightly different applications. We often use this as lining material, a temporary filling material or when giving a child a filling… if composite is not appropriate. It has the advantage of absorbing fluoride so can be great when some extra protection is needed or in very high-risk patients. It comes in a couple of shades but doesn’t match your tooth like composite does and for this reason, it’s rarely used in the aesthetic zone, again, when it would be seen in your smile. 3. Amalgam- a material that has received much negativity in the press due to the fact it does contain mercury. It is still used in public systems across the world like the NHS in the UK and has been used for many years with excellent success. It isn’t uncommon to see an old amalgam last 30 years – in fact I bet a lot of you still have them! The American Dental Association conducted an extensive meta-analysis where they looked at all the data and safety regarding amalgam and concluded its safety. Dr Jamie doesn’t routinely replace amalgams as a matter of course if they are functioning well, unless there’s a problem with the tooth or the patient requests it – then a replacement may be necessary. Amalgams may last you another decade or more and although not beautiful to look at, work very effectively. If it’s a cosmetic issue that concerns you however, he will discuss your options. A white filling would of course blend in better with your natural teeth colour. Can Dr Jamie describe the tooth filling procedure? Many of you will be pretty familiar with the tooth filling process. “Firstly I’d place the anaesthetic, ensuring you feel it as little as possible by applying a strong topical first, warming the anesthetic to body temperature and then very slowly popping it in – the slower the better as it’s the pressure build up that causes most of the sensation you experience. Not all places in the mouth are created equal when it comes to giving anesthetic – there are some places where you may not even feel a thing! After this simple procedure, I’ll then carefully remove any enamel needed to access the decay – the nurse will be sucking up the water at this point. Next the decay is removed, to get down to sound tooth ready for bonding in the filling. I’ll prime the base of your cavities with a strong disinfectant and then pop in a lining, then etch the tooth with a special dental acid, apply a layer of bond, shine the blue dental light to set it and then begin building the filling up… in as many layers as necessary- shining the blue light each time in order to ‘set’ the layers. The light only cures a certain depth so it’s important to build your tooth back up bit by bit. If the side of the tooth has been lost then a band will be placed to get a decent contact and stop food packing. This also prevents the tooth sticking to the one next door and allows you to floss normally afterwards. Risks and problems with fillings? There are a number of risks with fillings. They can leak, break, discolour, debond, wear or get decay around them so it’s important that the right filling is placed in the right way. This means it is kept dry during the bonding procedure, as contamination from saliva will cause all sorts of problems. Hence the reason you are padded out with cotton rolls, cheek protectors and various suction devices. If a filling is deep the nerve may not recover and a root canal may be needed- Dr Jamie will always warn you if this is a possibility. 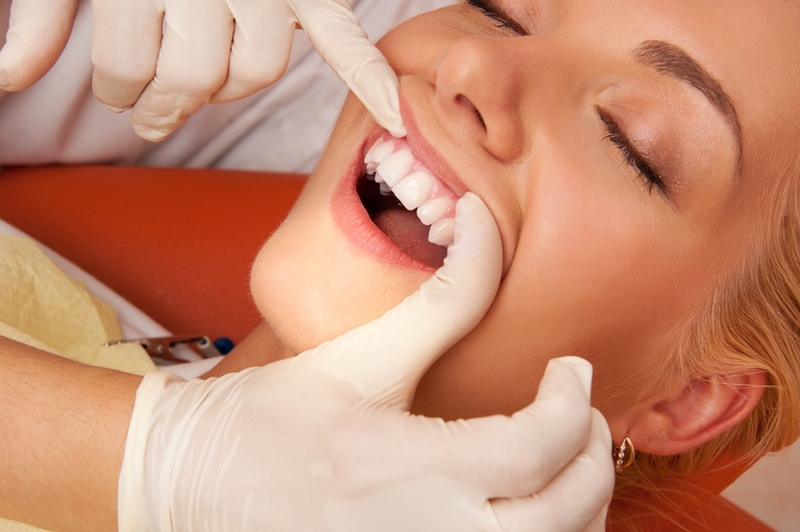 Fillings may not be the best choice, if a large proportion of the tooth has been lost. If a filling is placed and more tooth is subsequently lost, then a future crown may not have sufficient structure to hold on to, and long-term success could be compromised. It’s far better to protect the tooth with a crown rather than risk a very large filling that is likely to fail. Success rate/ how long do fillings last? An average composite filling will last, according to data and research, an average of about 8 years – 12 years for an amalgam. This has been briefly touched on this already but where a large proportion of the tooth is missing then there are couple of alternatives that are more predictable and will last longer than a composite filling. One of the main problems with white fillings is shrinkage, and the bigger the filling, the more shrinkage that occurs and the greater the failure. Porcelain or gold inlays are made by first taking an impression of the missing portion of tooth before cementing in; they will sit passively on your tooth without generating the same forces on the remaining structure. Generally we use porcelain more because it blends beautifully and looks very natural, but ask any dentist, and they’ll tell you ‘gold is fantastic’ and very strong in thin sections so it can more appropriate for certain difficult circumstances. If a considerable part or parts of the tooth are missing, then a dental crown is likely to be the best treatment to protect and save the tooth. A veneer is the final option and only suitable for front teeth- as part of a cosmetic make over, a single veneer, or a number of veneers can be placed, matching the colour, shape and size all the way round. For most fillings you will have been given dental anaesthetic and so after the appointment, you’ll need to be careful for a couple of hours as you won’t be able to tell temperature differences– especially if the numbness involves your lips so don’t drink anything too hot – test it with your finger first or avoid it altogether. Also be careful not to bite your lip. Fillings will feel different and new to your tongue. They can sometimes take a couple of days to feel normal but if by day 3 the bite still doesn’t feel quite right, it may need a little smoothing so best to pop back so we can check everything is ok. If you’ve had a white filling then it will be set fully by the time you leave the appointment, so eating and drinking is not an issue but be wary of the numbness. Some sensitivity can occur but it’s less common nowadays with our new bonding systems. It can still happen, but should be fairly mild and easily managed with sensitive toothpaste. Any more severe pain or toothache and you will need to call us. It can be a sign that the nerve in the tooth has a problem. What is the cost of a Filling? It would not be advisable to choose a dentist simply on the basis of a cheap filling. Find a quality dentist you can trust and who will look after you and you will save money, pain and time in the long run. Not all fillings are created equal and can vary in the cost depending on a number of factors such as the size, how many surfaces and if it is necessary to replace cusps or corners. (Find out more about dental filling cost on jamiethedentist.com). The range would be in the region of anything from about $175 for a small one surface filling to nearer $300 for a multi-surfaced. You also need to consider the cost of the consultation and that x-rays may be needed to diagnose the problem or provide appropriate treatment. Cost $175- $300 (Depends on the size and number of surfaces).